With both the American League and National League Wild Card games now in the past, the AL and NL Division Series are officially set and will begin tonight and tomorrow. We have some interesting matchups to look forward to, beginning the chase for the Fall Classic. This postseason bracket will feature teams who weren’t expected to be here as well as teams that are expected to dominate, and we have potential upsets all over the place. With that being said, here are my predictions for the first round of the Major League Baseball postseason. This series is going to be so much fun to watch. The Milwaukee Brewers and Colorado Rockies have been the talk of the league for the majority of the second half. Beginning with the NL Central Champion Brewers, who began September five games back of the Chicago Cubs for first place, they won 20 of their final 26, including eight in a row to win the Central. This Brewers team is special on so many levels. From new editions like Christian Yelich (who is on track to win the MVP) and Lorenzo Cain, both of whom helped give some spark that Milwaukee has needed for quite some time. On top of that, you have players like Jesús Aguilar, who hit 35 home runs in the regular season; Travis Shaw, who drove in almost 90 RBIs. Overall, the team has the 4th lowest ERA in the National League, and their pitching staff was 5th best in the NL in strikeouts. 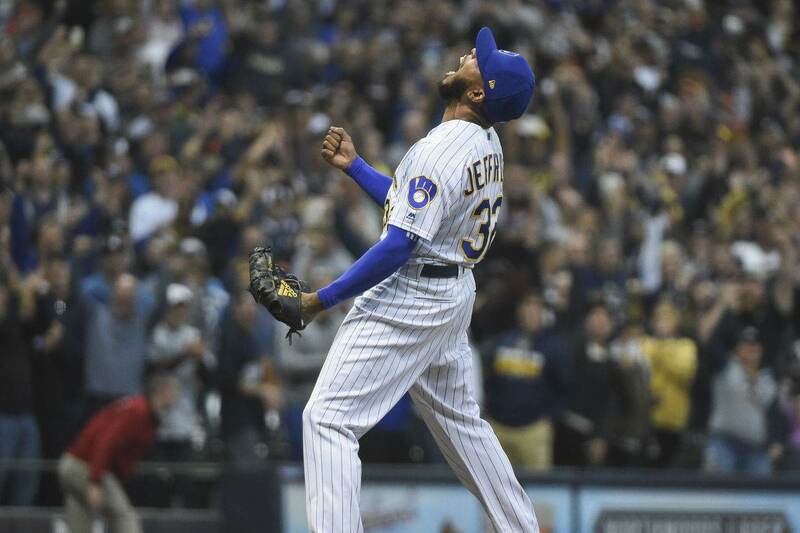 With a good rotation, a solid bullpen, and great offensive weapons, the Brewers are loaded and ready to do some serious damage. On the other side, you have a Rockies team that matches up well with the NL’s best. The Rockies are the best offensive team in the NL when they play at home, so they will have that advantage when this series goes back to Denver on Sunday. Also, like the Brewers, they have a solid bullpen as well with weapons like Wade Davis, Adam Ottavino, Scott Oberg, and many more. The Rockies are also stacked on offense with players like Nolan Arenado, Trevor Story, Carlos Gonzalez, Ian Desmond, and many others who helped contribute to get the Rockies this far. This series has the chance to go the distance if the Rockies can get a split in Milwaukee, but I will give the edge to the Brewers. The Rockies are a terrible road team on offense and the bullpen is spent from the Wild Card game in Chicago and the tie-breaker before that in Los Angeles. Milwaukee is well rested and there is no reason they can’t go on the road up 2-0. While I believe the Rockies have a huge advantage in Denver, the Brewers are going to have no problem there. Not only did the Brewers win 45 road games this year, they took three out of four at Coors Field from the Rockies back in May. At the end of the day, the Rockies’ struggles of hitting on the road will cost them in the end. The Brewers have the better overall team, better bullpen; they hit better on the road and played well at Coors Field this season, so I will take the Brewers to win this series and advance to the National League Championship Series. The Atlanta Braves are an example of a team that isn’t supposed to be here against a team like the Los Angeles Dodgers that just barely got in. The Dodgers may have won the NL West, but they should have owned the division after the trade deadline. After the Dodgers acquired Shortstop Manny Machado and Second Baseman Brian Dozier, the Dodgers were the only lock in the National League. Instead, the Dodgers had to scratch and claw for the entire second half and they were forced to play in a tie-breaker game just to host a playoff series. Either way, it doesn’t matter how they got in, the fact is they did. With that being said, the Dodgers are the defending NL Champions, and they won’t go down lightly. They owned the season series against the Braves winning five of the seven matchups, and they have the experience advantage over this very young and talented Braves team. Now, this Braves team deserves to be here. They went on a tear this year that never stopped. After winning 90 games in a season where many thought they had about another year of rebuilding, they will give the Dodgers a fight, and they may even have a few things up their sleeves that favor them. It looks like the Dodgers will start all left-handed pitchers for at least the first three games of this division series, which could favor the Braves as they’re ranked fourth in the majors in on-base plus slugging with four players posting an OPS over .900 against lefties. On top of that, the Braves offense has just been scary this year. From players like Freddie Freeman who hit over .300, to Nick Markakis who revived his career in 2018, Ronald Acuna Jr. who led the team in home runs with 26, and the team overall who was the second best offensive team in the NL. However, the Braves just announced they will not have Dansby Swanson in this series, who is out with a hand injury. While Charlie Culberson seems like an upgrade at the dish since Swanson has struggled, he isn’t on a career level and the Braves will lose a step on their defense. Despite the Braves being able to hit lefties, they will have to face two dangerous lefties in Hyun-Jin Ryu in game 1 and Clayton Kershaw in game 2. That is a fierce 1-2 punch that the Dodgers will unleash at home, which could put the Braves in a huge whole heading back to Atlanta. I think this series will be very close and will go the distance as these are two of the best defensive teams in the league, but I will give the advantage to the Dodgers. They know how to score runs against this Braves team, they know how to get to their bullpen which I’m not crazy about, and they are a healthier bunch (especially on defense). We have waited months for this series to be official, and last night the New York Yankees punched their ticket to Boston after dominating the Oakland Athletics in the AL Wild Card game. This will be the first time since the 2004 American League Championship Series that these two heated rivals will meet in the postseason. This series is going to have a classic feel to it, as these two teams hate one another. Also, what makes this series so special, is the division no longer matters, now it’s a best of five to find out who is really the best. Last night, the Yankees made a few things very clear. I pray for the Red Sox when they have to step into Yankee Stadium on Monday night. I don’t think this young Red Sox team will feel anything so hostile in their lives than when they step into the Bronx on Monday for a playoff game. If you don’t believe me, the minute the Yankees had control last night against the A’s, a loud “WE WANT BOSTON” chant erupted in the stadium. Now, I’m not taking anything away from the Red Sox, who won 108 games this year. There is a reason why Red Sox’s Manager Alex Cora will likely win Manager of the Year: Cora took over a Red Sox team that won the AL East and got bounced in the first round in back-to-back years, and took them to a level of success the franchise itself has never seen. From players like Mookie Betts hitting almost .350, J.D. Martinez leading the team in home runs and RBIs, to their dangerous 1-2 punch of Chris Sale and David Price, these two teams match up so well. Now, here is where the Yankees will have the advantage off the bat. I don’t think Chris Sale and David Price will be able to get it done in the playoffs. The past two years, Sale and Price have pitched the Red Sox out of the playoffs faster than they pitched them into it. On top of that, the Yankees got extra batting practice in almost every time they faced Price in 2018. If I were a Red Sox fan, I would have no confidence in these two until they show me something in the playoffs. The good news for the Red Sox is this time they have home field, the bad news is, the Yankees don’t care as they won 47 games on the road as well as five of their last seven, which included two out of three in Boston to end the season. I think it’s important for the Yankees to at least get a split of the series coming out of Boston. If they do that, they will have two games at Yankee Stadium where the series can likely end there. For the Red Sox to have any control, they must take the first two at Fenway so that way if they struggle in the Bronx, they still can come home for game five and win the series there. At the end of the day, I think the Yankees match up well in this series and I will pick them to win it. J.A. Happ, who has great numbers against the Red Sox, will likely start game 1 in Boston tomorrow. When you follow that up with Masahiro Tanaka in game 2 and then Luis Severino in game 3 at home, that’s a tough rotation to beat. I think the Red Sox offense will give them trouble, but I think this comes down to the Red Sox bullpen being able to keep the Yankees in check, which I don’t think they can, especially since they did not pitch well against the Yankees late in the season. I think the Yankee offense is getting hot at the right time, I don’t think the Red Sox will fare well at Yankee Stadium, especially after going 3-7 in the Bronx in the regular season. I believe the Yankees will take at least one game in Boston, which means the Yankees can and will put the series away at home. The defending World Series Champion Houston Astros will tell you today that their season is just getting started. Nothing they have done up to this point matters, as now it’s really the time to defend the banner. Step #1 will be the Cleveland Indians and while the Indians may have won the AL Central by default, they have some advantages against the Astros that could make this fun to watch. The Indians have a solid offense, but it’s their pitching that will be counted on to win this series. After loosing Danny Salazar for the season, the Indians stepped up with guys like Trevor Bauer, Corey Kluber, and Carlos Carrasco. Bottom line, their pitching never missed a beat. The one thing on everyone’s mind is will Bauer get a start for the Indians? He had the best year out of any starter on the roster, but injuries limited him late in the year. Manager Terry Francona discussed the idea of heavy bullpen work as well as a possible game 4 start, but no plans are official just yet. Now, they say pitching wins championships, and it does, but you need a productive offense as well, which is what concerns me about this Indians team. The Astros have some great pitching of their own from guys like Justin Verlander, Gerrit Cole, and Dallas Keuchel. Their offense isn’t to be questioned by anybody either, but how the Indians produce on offense will decide this series. Cleveland does not hit well on the road and they finished behind all the AL playoff teams in runs created in 2018. Jose Ramirez and Francisco Lindor are the two Indians who can provide the biggest threat, especially in the heart of that order. However, there are even concerns there as both guys (Ramirez especially) slowed down in the month of September. The key for the Astros is to get off to a strong start at home before this series switches to Cleveland, where the Indians can be dangerous. They have a hostile crowd of their own, they are second in the AL at home on offense, and the home-field advantage can be in play for the Indians. I think the Astros understand that and will play hard at home and grab two wins at home to start the series. I think going with Verlander and Cole is as good as it gets for the Astros in games 1 and 2, which will force the Indians to struggle on offense. With the pitching performing well, players like José Altuve, Carlos Correa, George Springer, Alex Bregman, and many others will follow on offense and win this series for the Astros comfortably. DO YOU AGREE WITH MY MLB DIVISION SERIES PICKS?